When you live at Arwen Vista Apartment Homes, you can check out the quirky little galleries and pop-up shops nearby in your downtime. Pause at Amélie’s French Bakery & Café for a coffee and a pastry. If sports is more your thing, you can join crowds at Jerry Richardson Stadium and experience the thrill of the college football season on game day. Spend evenings chatting with friends as you taste craft beers at NoDa Brewing Company, or tap your feet along to live music as diverse as bluegrass and opera at the buzzing Neighbourhood Theatre. 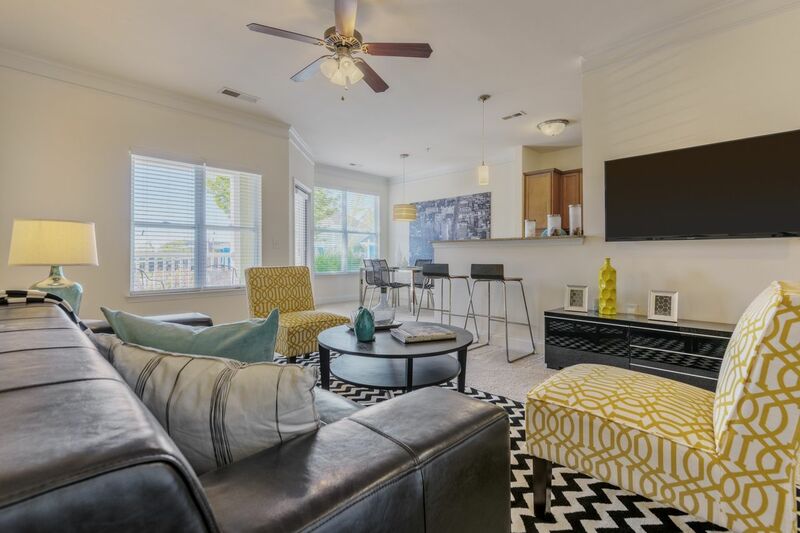 Jump in your car at Arwen Vista Apartment Homes, and you can take a 10-minute drive to the University of North Carolina at Charlotte. The essentials like grocery stores, banks and pharmacies are all within a mile of your new home, but you can always drive 20 minutes into the heart of Charlotte to explore further or try out a new restaurant or bar. On sunny days, hang out after class under the shaded cabana by the pool at Arwen Vista Apartment Homes. The outdoor sofas are perfect for lounging, and you can chill out beside the fire pit or cook a bite to eat on the outdoor grills whenever you feel like it. Catch up on your notes on the sundeck using the Wi-Fi. You can return to your apartment once you’ve worked up an appetite to cook using the upgraded black appliances. 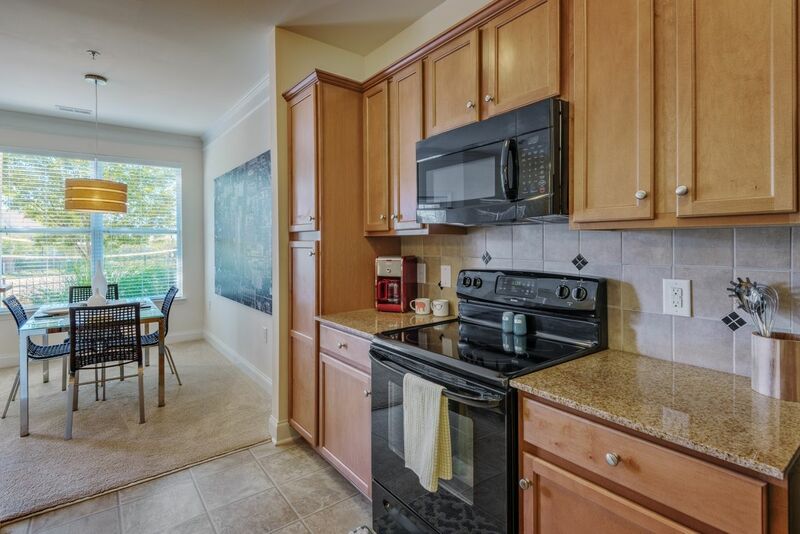 Whether you share an apartment or have one to yourself, all homes have stylish touches like high ceilings, granite countertops and hardwood cabinets. Chill out on your private balcony or patio with a cool drink after a long day in class. Some homes also feature garden tubs, where you can relax as you wait for your laundry to finish in the washer dryer. Venture out later within your gated community to unwind in the Jacuzzi or sauna. If you’d rather let off some steam, use the cardio and strength centers, rock wall or sand volleyball court to stay in shape. 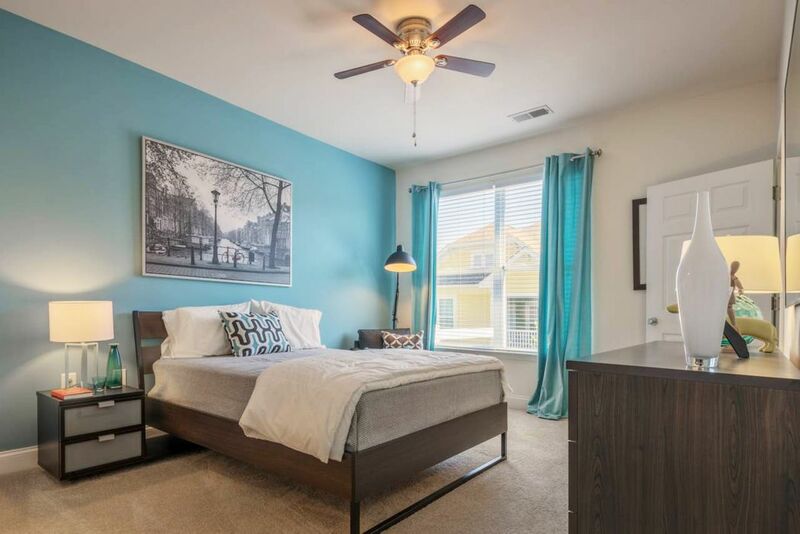 When you’re feeling invigorated and ready to study, sit at the desk in your spacious bedroom or use the business center to spread out your notes and work on group assignments. Wir haben leider keine Unterkunft gefunden, die deinen Wünschen entspricht.Alle Ganze Wohnung in Arwen Vista Apartment Homes ansehen.